More than one million violent crimes occur every year in the United States. Does this stat enrage you? Do you feel like you can do something to make America a safer place? Are you passionate about safety and security? If you answered yes to these questions, you could be a good fit for employment as an armed security guard. Like most jobs, however, there are training and licensing requirements you must meet in order to qualify for employment. Read to learn what it takes? Here is a complete guide on how to become an armed security guard. What Does an Armed Security Guard Do? The first thing to do when you want to join this career is to gain an in-depth understanding of the job of an armed security guard. You don’t want to complete all the necessary steps and get hired only to find you were never really cut out for the job. For starters, the job of an armed security guard is potentially dangerous. Whether you’re protecting a person or a physical property or providing security at an event, the risk of an attack is always there. You’ve to live with the fact that your life is at stake. The job of an armed security guard is physically demanding, and depending on your employer, your work hours can be unpredictable. If your employer is a politician or celebrity, for instance, you’ll have to follow their daily schedules. This may mean reporting to work early in the morning and working late into their night. However, security guards who work at fixed sites — like those manning buildings – have fairly fixed hours, and usually work in shifts. A couple of years ago, the minimum educational requirement for aspiring armed security guards was a GED or a high school diploma. Applicants would then undergo extensive arms and on-the-job training and gradually ease into their roles. These days, though, things are different. As physical security becomes more sophisticated, employers are starting to give more preference to job seekers with a specialized educational background. As such, if you want to stand out from the crowd, pursue a certificate course in physical security. The program will equip you with the knowledge of building security, protection strategies, security surveillance, human protection, and much more. After completing the course, take armed security guard training. While a certificate course equips you with physical security knowledge, armed security guard training equips you with the firearm and protection kills. You’ll learn how to carry, draw and fire your weapon from a range of positions. You’ll also gain the skills to deal with active shooter situations. Before signing up for this training, consider where you’d like to work. It’s better to receive training that’s customized to your preferred work environment. If your ideal worksite is a church, for example, signup with a training provider who offers a church security program. To get started, check out these unique services. In addition to the physical security knowledge and firearm skills, there are other important qualities you need to be a competent guard. For example, you need to be a patient person. Security guards spend most of their work time in one spot or environment. If you’re not a patient person, you can easily get distracted or bored. Another important quality is good judgment. Every day you’ll be faced with different situations, so you need good judgment to determine the right cause of action. Strong communication skills are also vital. You must be able to communicate effectively with other guards on your team, as well as issue clear directions to during emergencies. So as you pursue your education and firearms training, be sure to keep developing these qualities. The last step to becoming an armed security guard is to obtain a firearms license/permit and get registered by the relevant department in your state. Provide proof of armed security guard training or complete any addition state-specific training. After successfully obtaining a firearms license and getting registered as an armed security guard, it’s time to hunt for a job. 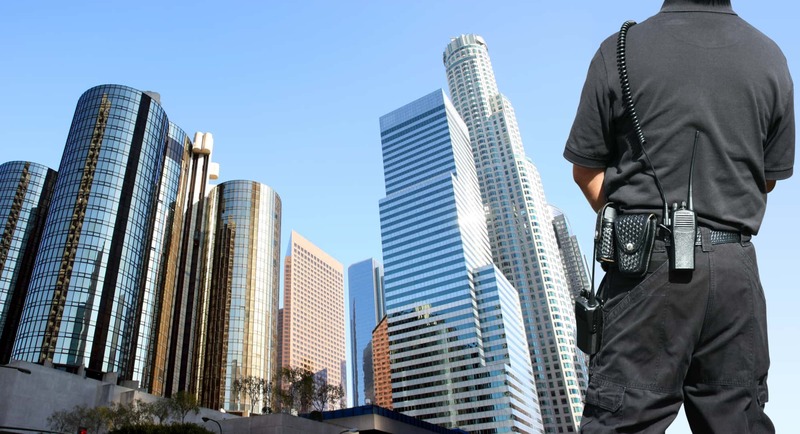 Your first option is to send an application to companies that offer armed security guard services. You’ll be hired as an employee, after which you’ll be deployed to a worksite. If you don’t fancy formal employment, you can work as an independent contractor. You can set up a website and social media pages to market your freelance armed security services. That’s How to Become an Armed Security Guard! The job of an armed security guard has its risks, but it also has the potential to be richly rewarding. If you’re a gun lover and passionate about safety and security matters, this is a job you’ll enjoy. What’s more, we have told you how to become an armed security guard. Just pursue a certificate course in physical security, complete armed security training and obtain the relevant occupational licenses. This shouldn’t take you more than a year. And who knows, this job might prepare you for a career in the secret service.